Federal Territory Day (Hari Wilayah Persekutuan) is a state holiday celebrated on February 1 in the federal territories of Malaysia (Kuala Lumpur, Putrajaya, and Labuan). A federal territory is a territory governed directly by the Malaysian federal government. 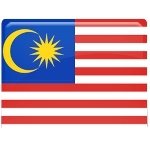 Kuala Lumpur, the country's national capital, became the first federal territory on February 1, 1974. The anniversary of this event was declared as Federal Territory Day. In 1984, Labuan, an offshore financial center, became the second federal territory of Malaysia. Putrajaya, the federal administrative center of Malaysia, became the third federal territory in 2001. Since 2007, a new theme of the Federal Territory Day has been selected each year. The themes include: Progress and Prosperity (2007), My Glorious Federal Territory (2008), Territory Progress, Citizens Prosperity (2009), 1Federal Territory, Progress and Prosperity (2010), 1Federal Territory, Championing Transformations (2011), People's Unity, Federal Territory Progress (2012), Unity the Core of Prosperity, 1Federal Territory (2013), Cheerful Federal Territories (2014). The main events are usually held in a venue located in one of the federal territories (typically Kuala Lumpur). On February 2008, the introduction of the Federal Territory official awards and decorations (Order of Crown Territory and Crown Territory Medal) took place.